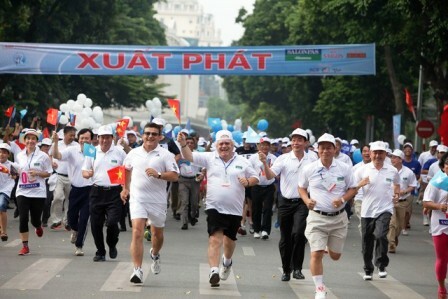 Hanoi – In the morning of 4th October, Ambassador Saadi Salama, staff of Palestine Embassy in Hanoi and Palestinian students studying in Vietnam joined the 42nd annual Hanoi Moi Run for Peace of 2015 at Hoan Kiem Lake, Hanoi. 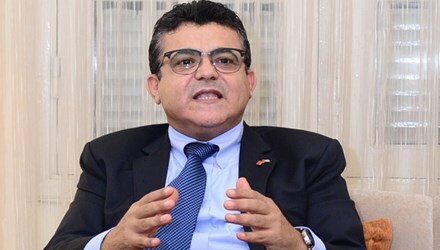 Hanoi – On Wednesday, 9th September 2015, at the Embassy of the State of Palestine in Hanoi, Ambassador Saadi Salama received representatives of the International Department of the Central Executive Committee of the Ho Chi Minh Communist Youth Union. At the meeting, Ambassador Saadi Salama and Ms. Trinh Mai Phuong, Member of the Executive Committee of the Ho Chi Minh Communist Youth Union, Deputy Head of the International Department, discussed measures to promote the cooperation relation between Palestinian youth and Vietnamese youth in the coming time. 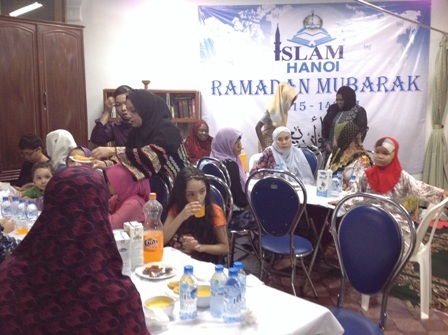 On July 6th, 2015, the Embassy of the State of Palestine in Hanoi hosted an Iftar (fast-breaking) at Al-Noor Mosque on Hang Luoc Street with the attendance of representatives of diplomatic missions and members of Muslim community in Hanoi. The event was organized to mark the Holy month of Ramadan. 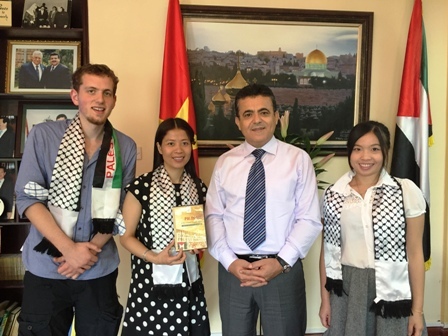 Hanoi, 9th June 2015 - Ambassador Saadi Salama received members of the Palestine Solidarity Group of Leeds University, including Henry de Thierry, committee member of the group, at the chancery of the Embassy of the State of Palestine in Hanoi. Ambassador Saadi Salama joins the "Meeting between the Diplomatic Corps and provinces 2015"